Active sentence is the sentence that the subject of the sentence is an act of the perpetrator, while the passive sentence is the sentence that the subject is not theperpetrators of an act. The subject is the recipient of the result of an action. Use passive voice if the perpetrator acts not so important. * Active: S + Verb (Word Work) + Object + etc. * Passive: Object + to be + Verb 3 (Work Words Form III) (+ by the subject) + etc. 1. To say a sentence in the passive voice, tenses do not change. Tenses must be the same if we say so in active form. What changed his only verb. 2. The verb has no object (intransitive verb) can not be converted into the passive voice, like, crying, boiling, rising, etc. 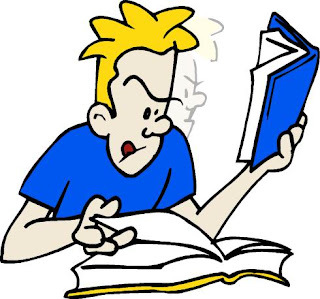 5) Passive Sentence with Certain Verbs followed by That-clauseThe verb used is: accept, admit, agree, assume, believe, Decide, Expect, find out, intend, plan, points out, presume, Prove, regret, reports, say, think, understand. 9) Agent consisting long expression at the end of sentenceIn a passive sentence, if the perpetrator of a long expression, the subject should be placed at the end of the sentence after by. * This wall needs painting.